A corporate product launching party took place on the 13th of May at the Tobacco Dock in London. 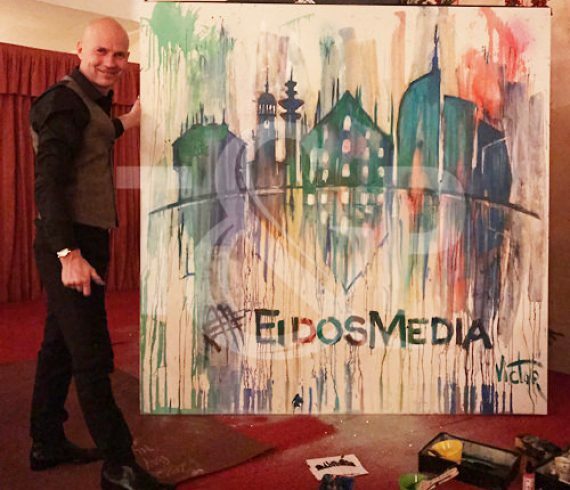 Our very famous Speed Painter came to perform his must-see glue and glitters act ! The client was conquered by his tremendous performance of course ! 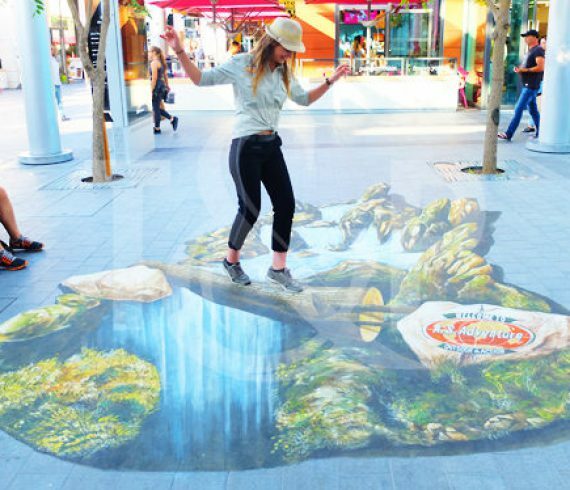 No one would remain impassive while seeing something as incredible as this ! 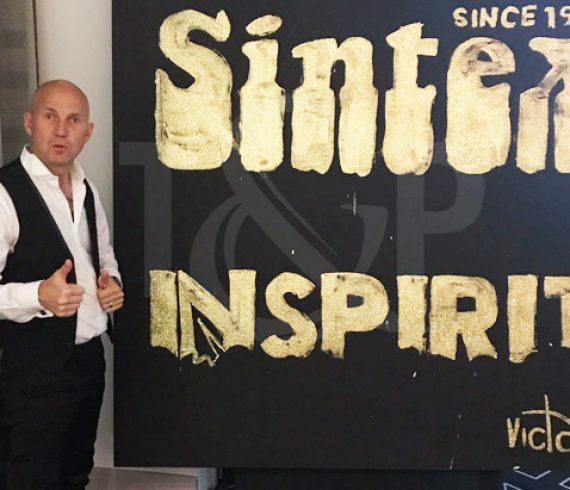 A marvellous corporate event took place in Amsterdam at the beginning of May. For the occasion, our speed painter came to perform his glue and glitters act ! In just a few minutes, a complete masterpiece made of glue and golden glitters appeared in front of the guests, leaving them completely speechless ! An evening that won’t be forgotten anytime soon ! 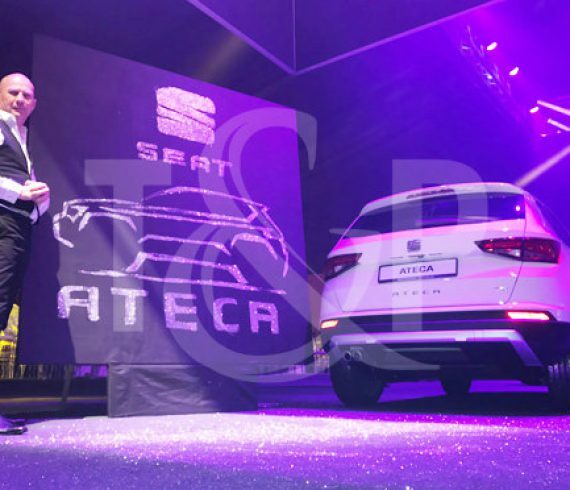 A famous car brand organized a wonderful corporate launch party which took place inside the prestigious Regency Gammarth Hotel in Tunisia last April. Our speed painter came all the way to Tunisia in order to perform his incredible glue and glitter act ! What a prowess, he bewitched all the guests thanks to his masterpiece ! A true artist for sure ! In January, a corporate event took place at the prestigious Yacht Club in Monaco. Two of our artists came in order to bewitch the guests : an harpist and a caricaturist. The two of them managed to prove their wonderful talent to everyone and especially our amazing caricaturist who draw a dazzling caricature of the honored guests ! What a tremendous success ! 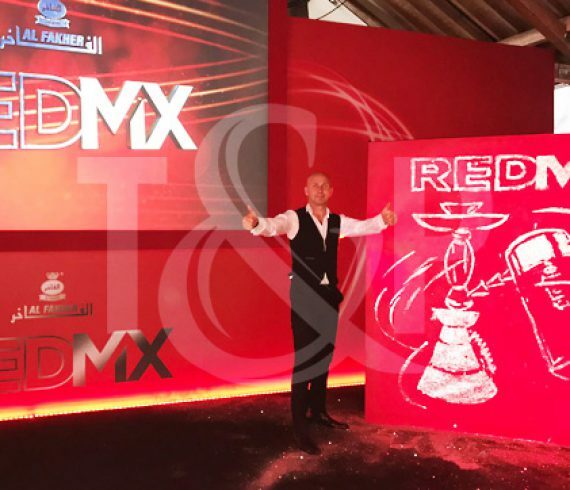 In December 2016, a corporate event has been organized in Milan, Italy. For the occasion, our speed painter decided to work on a new speed painting technique called the Splash Painting. He managed to realize several drawings on the canvas till the end of the performance when he finally revealed the final artistic work ! The audience was completely speechless ! One night in Eiffel Tower ! 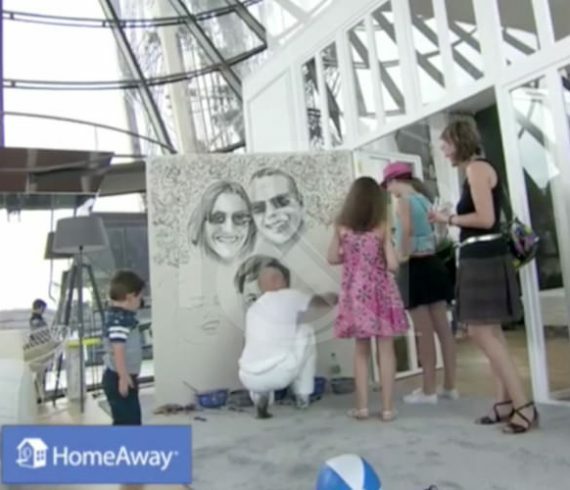 HomeAway organized a competition #EiffelTowerAllYours for the UEFA EURO 2016 : For the first time ever, 4 lucky people spend the night in the Eiffel Tower. Into this ephemeral apartment, designed by Benoit Leleu, comfy with amazing Parisian view, our painter realized a unique performance shared in live on HomeAway Facebook Page. 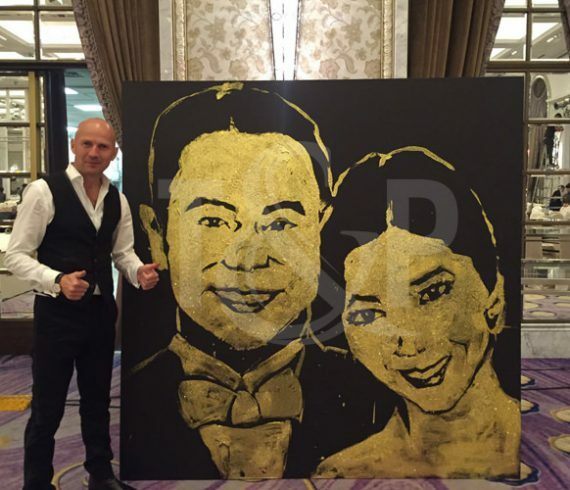 Our speed painter with glue and glitter was in Taipei (Taiwan) for a wedding celebration. For this very special occasion, he realized bride and groom portraits in few minutes using glue and glitters. A beautiful souvenir for this special day!